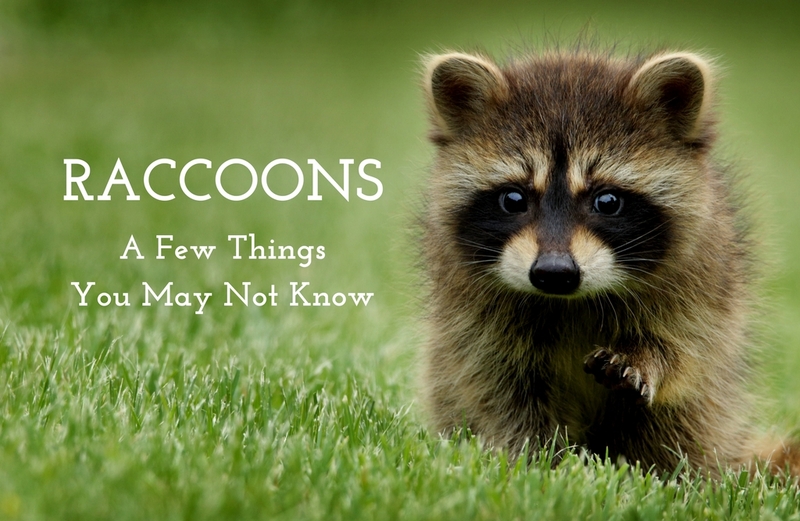 Raccoons are members of the family Procyonidae, along with ringtails and coatis, and more recently red pandas (lesser pandas) have been included in this family. This family is considered to be closely related to bears. They present a few problems for homeowners. Among the undesirable side effects is their bathroom habits. They pick a spot and return to it repeatedly to relieve themselves, creating a rather unpleasant “litter box” in your home. They are also are by far the noisiest house guests. Frequently homeowners describe the sounds coming from their attic as that of a grown man stomping, or someone bowling above their head. Not to mention the rather loud cooing, chattering and shrill sounds the young will make to get their maternal units attention. That is a bit of the normal day-to-day sounds of a raccoon family in your home. A more drastic and troubling behavior is that of the adult male raccoon (boar). They have been known to enter nesting areas with young (not their own young) and culling the entire litter, in the efforts to earn breeding rights with the adult female. The aftermath of such, is some of the most disturbing visuals I have experienced in wildlife control. A brutal demonstration that nature can be cruel. Trapping and removing a female leaving young behind. As a rule raccoons are mothers and will be sure to place their young safely out of sight. The result is the death of the young or, with older pups, they will make a new exit and or harass anyone they come across for food. Releasing a trapped raccoon too close to your home once removed. Once a raccoon has adopted your home as hers, she will do her very best to return. Releasing a Within 5 miles of your home means there is a strong chance that raccoon will return and reenter, if a secure seal is not placed on the animals original entry point. Or she will simply make a new entrance. Another complicating factor is that this raccoon is now trap smart. Meaning the raccoon has learned to avoid traps in the future. It’s important to understand that raccoons are protective and effective mothers. As such a nursing raccoon is often forced to venture out during the day to feed herself, as her pups demand so much of her during the evening hours. Therefore if a raccoon has pups in the area it’s a good idea to be mindful to protect pets and children. While she is not motivated to attack (nor will she normally attack), she may do so if she perceives a threat to her young, or feels something is preventing her to return to her young. One last point to clarify, regarding raccoons as pets. It seems I get frequent inquiries from people who want raccoon pups to raise as pets. As a rule, this is a very bad idea. From a legal standpoint, it is not permitted to keep raccoons as pets, exceptions can be made by FWC for educational purposes. Raccoons are intelligent, playful, energetic, and strong. 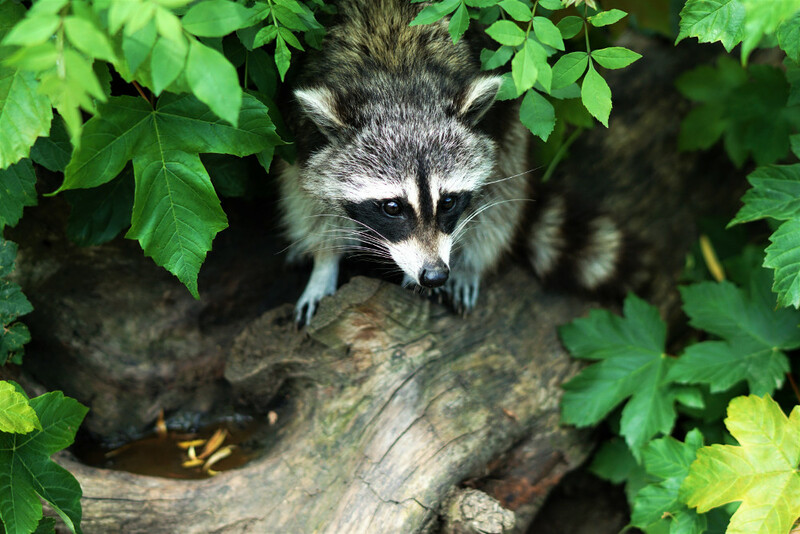 They can do some amazing damage to your home just being raccoons.